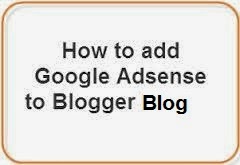 How to Add Adsense to Blogger.com Blog ? How to Sign Up for an AdSense Account ? Click on "Get Started Now". Wait for few hours to get approval from Adsense. How to Put AdSense on Blogger Blog ? Read Adsense terms and conditions and click on I Agree.